The following is a summary of the arguments of Professor Callum Roberts by Mark Vasey. Pre 1050 many people ate freshwater fish from our clean flowing well stocked rivers and ponds. Christian religions often prohibited eating fleshy meat because it might incite sexual passion. Fish markets in medieval towns were common. As the 11th Century progressed a growth in the use of nets and weirs in rivers started to trap large quantities of fish spawning and swimming in rivers. An increase in cutting forests, ploughing fields and building water powered dams to grind corn lead to soil erosion and the slowing up and silting up of rivers. Population growth resulted in more sewage and more pollution. 1100 - Britain began to import stockfish, air dried cod, from Scandinavia. By 1310 it amounted to about 2000 tonnes per year. In York, a 1 metre long cod was brought from the coast and consumed at a feast. 1376 - Complaint to King Edward III requesting a ban on "trawle nets", "a net so close meshed that no fish be it ever so small can escape and the great and long iron wondyrechaun (chain) runs so heavily over the ground that it destroys the flowers of the land below water and also the spat of oysters, mussels and other fish upon which the great fish are accustomed to be fed and nourished." 1602 - New England - bountiful supplies of large fish found in every creek and river with banks of oysters and crabs along the coast. Sturgeon up to 18 feet (5.5 metres are found weighing 800 kilos (1800 pounds). One canoe with two men caught 600 fish with hooked lines and up to 5000 with a net in a day. 1714 - British law passed prohibiting the use of trawl nets with a mesh size smaller than 3.5 inches from knot to knot. 1719 - Spain and Portugal are consuming 30,000 tonnes of Newfoundland fish per annum. 4000 ships made for fishing between 1722 and 1792. 1728 - Virginia "there was as great a supply of herring as there is water. In a word it is unbelievable, indeed indescribable, as also incomprehensible, what quantity is found there." 1776 - "When the main body (of the Herring School) is arrived, its breadth and depth is such as to alter the very appearance of the ocean. It is divided into columns 5 or 6 miles in length and 3 or 4 broad; while the water before them curls up as if forced out of its bed." 1779 - Virginia - "Salmon in prodigious plenty, the number of nets had to be reduced because they had neither salt nor casks to cure them, catching 750 fish per day". 1798 - Pacific Ocean, Palmyra Atoll, reports of "Multitudes of fish and sharks". In Virginia, Stripped Bass up to 4 feet long, 1.2 metres, were being caught. 1810 - Packs of Cod 100 miles in length and 300 in breadth swim along the British Coast. 2 or 3 fishermen will take a ton each per day. Trawler's nets could be so full of fish they would tear open when hauling them in or stop the boat in its tracks. 1813 - It was a commonly held belief that the seas held an inexhaustible bounty of food. 1832 - The Potomac River had 8000 fishers with 450 boats, landing 22.5 million shad and 750 million alewife fish per annum. However, the St Jones River in Delaware had already been silted up by the same process as had happened in England. On the Dogger Bank, eight men with handlines could catch one fish every 3 minutes, 200 a day. 1855 Scotch herring fisheries employ 11,000 smacks manned by 40,000 seamen, assisted by 28,000 curers and labourers. Protesting line fishermen burned trawl nets complaining of fish stock depletion and ruin of sea bottom bait beds and crab populations. 1860 - 100,000 tonnes of fish per year carried by the railways of Britain. English trawling fleet expanded, from 130 in 1840, to 800 in 1860. 1863 - Royal Commission investigate fish stocks and injurious modes of fishing. With no statistical data to compare and food supplies to consider the Commission decided that all Acts of Parliament to regulate fishing be repealed! 1870 - 800,000 barrels of herring a year cured in Scotland. 5 - 6000 miles (8 -10,000 km) of drift nets were set every night during peak season. 16-1700 British sail driven trawlers operating. 1871 - 135 million pilchards exported to the Mediterranean. 1874 - Halibut 75 inches long by 47 inches wide sold in London. Skate up to 42 inches long and 31 inches wide, weighing 200 pounds, fed 120 people! 1875 - Steam trawlers begin working without worry of wind, weather or tide. Beam trawls increased from 36/38 feet to 50 feet. Steel cables and steam winches could plough rockier sea beds in less time. 1883 - Commission looked at growing evidence of fish stock depletion. Some fishermen knew they "were killing the goose that had laid the golden eggs". Trawlers found few fish in coastal waters and now had to travel up to 2-300 miles to find shoals. Smaller and smaller fish were being caught and used for fertilizer or thrown back dead. The spawning beds were also being destroyed. The commission concluded there was a fall in fish stocks of a few species near the coast but that the beam trawl did little damage. 1889 - 1898: Total catch rose from 173,000 tonnes to 230,000 tonnes per year, not due to larger fish stocks but many more boats as catch per smack actually fell from 60 tonnes to 32 tonnes. 1899 - Aberdeen - "Dozens of witnesses swore before the commission that the trawl destroyed the food of the fishes, the spawn of the fishes and the immature fishes. Many declared from personal experience that it was enough to make an angel weep to see the awful signs of destruction brought up on deck by the trawl". 1900 - 260,000 square kilometres (100,000 sq miles) of the North Sea, its entire trawlable area, is raked by nets twice every year. 1918 - After the war and 4 years without fishing the North Sea once again supplied large hauls of fish suggesting stocks trebled. 1920 - Isle of Barra - Herring was caught in "sheets and sheets of shimmeringly ecstatic silver". Innumerable thousands emerged from the black and moving sea. It seemed endless." At Wick Harbour a scene of prodigious activity ensued "on all sides we are surrounded by Herring. On our left countless baskets are being poured into immense gutting troughs and on the right there are countless basketsful being carried from the three or four hundred boats." 1933 - Sea Fishing Industry Act introduced minimum mesh sizes and landing size limits for main species caught. Icelandic waters gave 72 tonnes of fish per 100 hours, with Cod weighing 180 pounds and Halibut 378 pounds, whilst the North Sea only gave 7 tonnes per 100 hours. 1937 - European Convention regulated fisheries. 1950 - Cod spawning off the coast of Norway are described as in "jam packed shoals often 150 feet (46 metres) thick". "So compact are they that a dropped sounding lead may rest on the silvery mass". Post WW2 fishing boats were all built for long distance fishing in Icelandic waters. Factory Freezer trawlers were developed that could stay at sea for longer with bigger holds. Eastern European nations operated fleets of ships servicing factory ships that travelled across the Atlantic from pole to pole. Echo sounding sonar could detect fish more accurately. 1965 - Off the North American coast the Soviet Union had 30 mother ships, 106 factory trawlers and 425 small trawlers catching 872,000 tonnes of fish. Spain, Portugal and France catch 600,000 tonnes. 1966 - Herring catch from North Sea 1.2 million tonnes. 1975 - Herring catch from North Sea 0.2 million tonnes. 70% of herring stocks extracted per year, which is greater than the sustainability / rejuvenation level for many species. Humanity now has the power to drive fish populations to collapse. 1985 - 60-80% of all Cod, haddock and Flounder populations in the Gulf of Maine are caught. The only creatures left now worth catching are shellfish. 1992 - Cod moratorium put 40,000 fishermen out of work in Newfoundland. 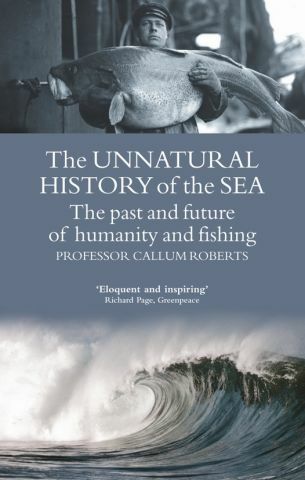 2000 - 50% of fish stocks in the North Sea classified as seriously overfished. Estimates show that European fish stocks are 1/10th (10%) of what they were in 1900. Large bodied fish are 1/50th their size they would be in the absence of fishing. 2003 - Atlantic Cod added to Canada's list of endangered species. 2008- Alaskan Pollock landings are 1.3 million tonnes per year. They feed on plankton and krill in the Bering Sea. We now know that it takes 1000's of years for complex biological communities to develop that knit together and stabilise sediments allowing sea creatures and plants to colonize and grow. Seaweed, sponges, starfish, snails, anemones, crabs, plankton, prawns, nutrients, oysters, fish, dolphins, seabirds, seals, sharks and whales are all interlinked and depend on a complex biological food web to survive and prosper. Dragging the seabed crushes and strips the living matrix from the seabed. The Future? : 95% of Caribbean coral reefs that have been growing unchallenged for 100,000 years have been lost to disease and damage. 30-50% of Norway's deep-water coral reefs have been seriously damaged as today's commercial trawl nets reach depths of 2 kilometres. In Australia a ton of coral used to be dragged to the surface with every trawl net. Globally, 1250 kilometres of nets are lost or discarded every year to remain as death traps for fish on the sea floor. 580 square miles of seabed are trawled every day, more than the loss of tropical rain forest and every year a seabed area the size of France is stripped of its assets. Huge new vessels cost thousands of dollars a day to run so must catch more and more fish to be cost effective. Electronic satellite information can give boats sea surface temperature readouts to show where ocean currents meet and high nutrient and plankton levels are found along with any feeding fish. Side scan sonar maps every gulley and hiding place on the ocean floor. 65% of all fisheries exploited since 1950 have now collapsed. The current downward trend in fish stocks will leave us with less than 70% of the current already heavily depleted stocks by 2050. We can only just meet human demand for fish protein and still many sea creatures are thrown back dead or used for livestock feed. The ecosystem food web is being diminished and we now eat what our forebears used for bait. Younger and smaller fish produce less offspring and are less resilient to disease, pollution and changes in their environment. So what is the answer? : One third of the world's seas need to be made into protected reserves. These no-fish zones based around natural feeding and breeding areas will hopefully allow fish stocks to replenish. With reduced fishing using less harmful techniques and better use of unwanted catch it may not be too late to avoid ruining our wonderful seas.